Do you remember the first cookbook you ever loved? Caity was enthralled by Rose Levy Berenbaum’s The Cake Bible when she was little and spent hours going through her gorgeous photos and awesome recipe names: Enchanted Forest, Strawberry Maria and Chocolate Chestnut Embrace. Years later when she was a teenager, Caity’s sister gave her a copy of The Best Recipes in the World by Mark Bittman, which inspired to learn about world cuisines by cooking at home and later fueled her plans to travel the world. That’s the real magic of cookbooks. They can transform your home life, or take you on a trip a million miles away. October is National Cookbook month but we couldn’t wait to talk with a couple of our favorite authors.Rose Levy Beranbaum joins us in the HRN studio, and we talk to our own Sother Teague of The Speakeasy about writing his debut book on his iPhone. 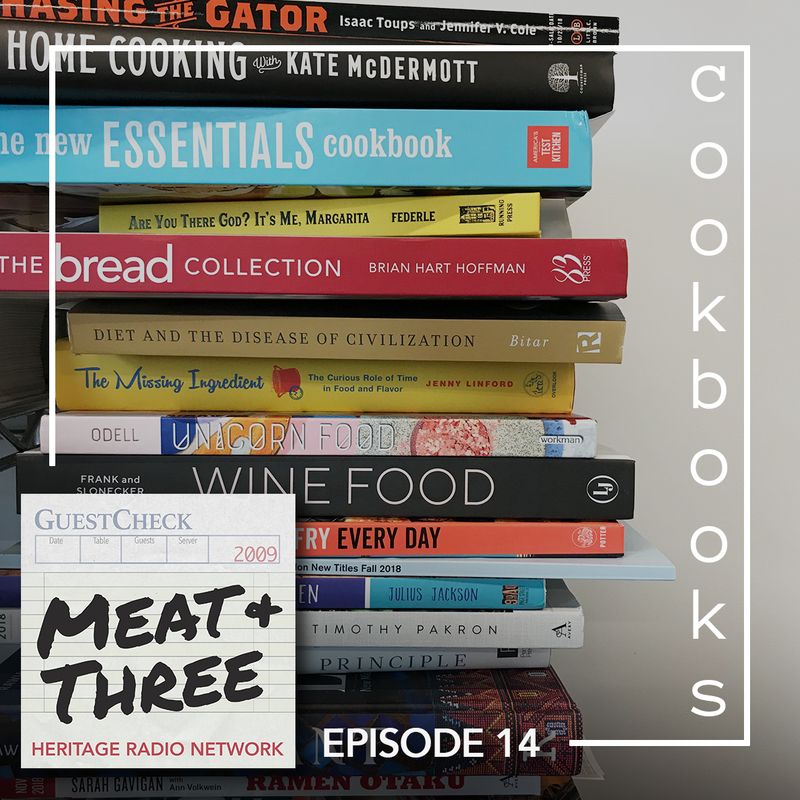 Then, we take a closer look at a cookbook scandal that happened last month, and Liza Hamm stopped by the studio to discuss the latest crop of cookbooks with our resident expert, Cathy Erway, host of Eat Your Words on Heritage Radio Network.